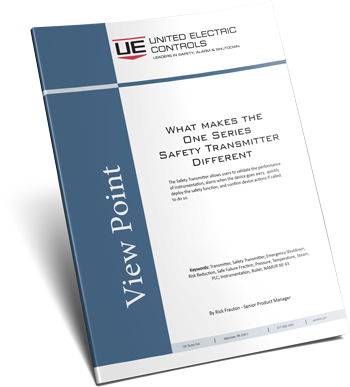 Home | Solutions Center | Papers | What Makes the One Series Safety Transmitter Different? What Makes the One Series Safety Transmitter Different? The new One Series Safety Transmitter has been receiving lots of attention from engineers involved with designing safety instrumented systems (SIS) for their hazardous processes. Why? What makes the One Series Safety Transmitter different from other transmitters currently available for safety applications? This paper covers how the One Series Safety Transmitter allows users to validate the performance of instrumentation, alarm when the device goes awry, quickly deploy the safety function, and confirm device actions if called to do so.